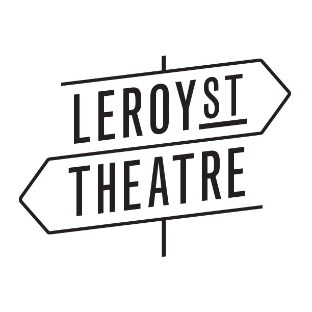 Leroy Street Theatre was founded in 2013 by Clem McIntosh and Anne van Leeuwen, artists returning to Toronto after stints in New York City and Vancouver. Producing their first few shows in the hottest indie theatre venues in Toronto, it became Leroy Street’s mission to produce quality work that has the ability to profoundly affect audiences beyond simple entertainment. They have gone on to present a diverse range of shows, from an immersive Shakespeare experience to the world premiere of two brand new George F. Walker one-acts, collaborating with some of the top Toronto theatre talent along the way. These productions have been well received, with Dora and My Entertainment World nominated performances among them, along with Leroy’s own Anne van Leeuwen being named one of NOW Magazine’s breakthrough stage artists of 2017. With Anne on this theatre adventure since the first production have been set designer and director, Chris Bretecher, and production manager, Melissa Wright. Just last year, Alice Lundy joined the company as co-artistic director and she has brought a fresh perspective to the team. Currently, Leroy Street Theatre is the resident company over at The Assembly Theatre, where their next production, C’MON ANGIE! by Amy Lee Lavoie and co-produced with The Spadina Avenue Gang, is opening on April 12th. For more information on current and past productions, please visit us at www.leroystreettheatre.com. Would you like your organization to be included as the Member Profile? Contact Alexis to book a month.